Why Focus Your SharePoint Developments on User Experience? The User Experience, something that has gained a lot of popularity since Apple’s iPhone if you ask me. People kept trying to explain why it was such a success, or why they liked their phones better than, at the time, another. And it was hard to explain, it wasn’t about a feature, or that a button did this or that, it always came down to how they use it, or the overall experience. Since then, we’ve seen a rise in investing on User Experience in software, as well. In this Whiteboard video, Christian Buckley, Office Servers and Services MVP, discusses developing for User Experience, whether with SharePoint or Office 365, or even just in general. 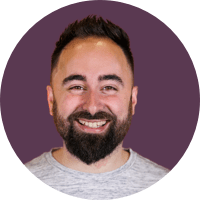 Christian breaks it down and explains what's pulling people away from being productive on your SharePoint. You have different collaboration activities, communication tools pulling people away, lack of flexibility, and the need for more complex activities that the environment is not providing them. Different people work very differently even within the same organization, and that's definitely expected. What happens is that, often, we try to make all of them fit into one product, like SharePoint. People want something that’s quick and easy to solve their problems. 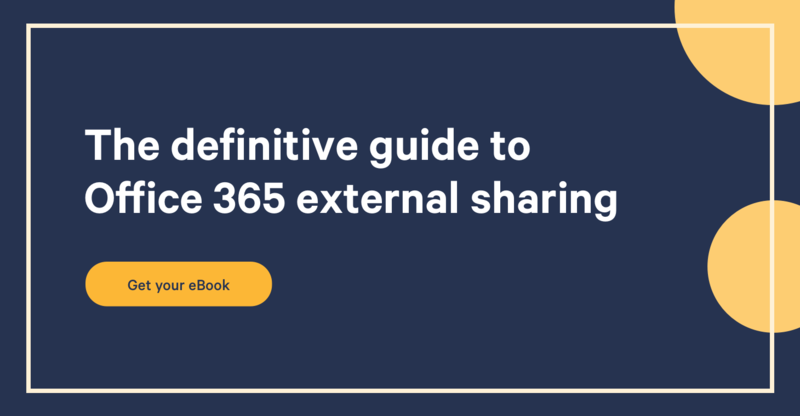 Today, even Microsoft’s Office 365 has understood this, and is bringing different products for Groups or Teams to work with, depending on what their needs are. In the past, SharePoint developments have often been used like a hammer to hit every single possible nail, or solve all problems in an organization. However, today these business users can simply go online and use Trello, Dropbox, Slack, and many other free softwares to get the work done without having to stretch SharePoint into something it is not. It’s why we’re seeing a rise in these new standalone solutions that work for teams, like the Video Portal, Delve, Planner, and much more. Hi, this is Christian Buckley. I'm going to be talking about the user experience and developing for that user experience using sound principles that you'll find out in the real world. I'm the Chief Marketing Officer with Beezy, and I'm an Office Servers and Services MVP. I was a longtime SharePoint and Office 365 MVP, here talking today about a topic that I'm very passionate about. And it's about thinking from a user experience standpoint - how your design, your outlining, your system, your environment will work for your end users. And so, of course, I look at everything through the SharePoint perspective, the Office 365 perspective. But this is valid to any user interface. But there's a lot of change that's been going on. So my passion, more than anything, is around social collaboration. And a lot of the things which we, as end users, as consumers of information today, owe a lot to what's been happening in the consumer-based social networking space. But I think that there are some patterns that you'll find, that you think about, especially if you are experiencing any adoption and engagement issues within your own environment, things that you might be able to use or at least to better understand what's happening inside your organization. So I talk about here, what are the primary things which are pulling people away from doing what you believe needs to be done? Being productive on your SharePoint environment. You have various collaboration activities, communication tools that are pulling people away. The lack of flexibility and the need for more complex activities that the environment is just not providing them. So what are some examples of these? So from a collaboration standpoint, you have things like, where people just want to be able to work with people on the fly. They don't want to have to invite them in, and go and get a formal ID, and add them into the SharePoint environment to be able to have that level of collaboration. There's different kinds of ad hoc collaboration. But even inside an organization, sometimes people flock towards these tools which just seem easier to use without making a judgment of whether they should or shouldn't be using those things, just a reality of where things are. So if you have things like...people are going out to like their ESNs, or enterprise social networking platforms. Yammer certainly played a large part of the reason why Microsoft acquired them, but there's plenty of other technologies. My company Beezy provides ESN capabilities. But you have ESNs. You have things like Slack, which also fall into that bucket. But there could be a lot of other tools that are either consumer or web-based tools, as well as enterprise tools, which compete with people's time and effort inside of SharePoint. On the communication side. So you have things like HipChat, and again you have Slack. Skype even might pull people away. They're having conversations over inside of Skype, which is a great tool. However then that conversation and a lot of the activities, the innovation, the IP that's being generated in those conversations, could be lost to everything else that's happening inside your environment. The flexibility. So they could feel like, "You know what? We just don't have the capabilities that we need. I just want to be able to go and do chat. I want to go and use, like, Facebook". I have a lot of people that are reaching out to me through LinkedIn, but other tools that are out there, not just expressly the social platforms that are out there. But people just want something that's quick and easy, that allows them to pull together the conversation in a very flexible way. Then you have the complexity, the things that are out there, where they have other needs. I'm a big fan of using Trello. So that having that Kanban model. Now, of course, with Office 365, as it's slowly being ruled out, you have the planner capability, which has some of the Kanban list management capabilities. But you have Trello, you have your CRM platforms, where yeah, there's dynamics and there's some capability with some integration with the chat capability. But Salesforce, for example, the number one CRM platform, a lot of conversation that happens out in chat, or just because it's easier and makes sense in context to what's happening there. These are all things which are pulling people away from your environment. Now, what we found is that there are certain patterns in environments. And let's again use the consumer-based social collaboration as an example. Because these are some of the most successful UIs that have been developed for customers. So if you think about Facebook, certainly LinkedIn, I'll include Google+ because it's out there, nobody actually uses it, but other environments like that, competitors in that social space, there's really three components that they talk about. And I love this content. My product lead Maximo Castagno, who is by the way at Beezy, his training is as a sociologist. So he goes into a lot in how we develop product, but it really comes back to these three core components of any user experience. So you have that discovery, recovery, and the followup components. I'll kind of move over to, like, the typical user interface, and we'll come back to these points here, but as any successful UI, you have in it these components, that discovery. So being able to go and find something that is new. I have the things that I'm working on, my content, my team, the keywords that are relevant to me, but sometimes I want to find things which may be secondarily or tangentially relevant to what I'm working on. I want to be able to discover things that I'm not looking for specifically but might be relevant in context. You then have the recovery. So it's not just about what I'm working on, it's being able to go and say, "Okay, what did I work on? Where are these things? Where was that link that I shared? What was that task that I was assigned?" And then you have the followup through the networks, through the connections that are happening. So stepping back over to this UI. This is the common UI. If you think of SharePoint as the various zones within a SharePoint development, it's a great way to think about that. So in any environment, and this might be Facebook. So if you actually go in and have your personal profile, you've got your banner picture, the mountains up here with the clouds, the sun out, whatever the picture is. But you have your personal profile over here, you have all of these various links, you've got some other personal information, the status, and then you have the history, the activity that happened here. Comments, things that you participated in with your likes and comments from other people. And then you have this other content over here, which it might be, like, hey, other communities that you might be a member of or joined this group. So if you think about Facebook, LinkedIn, and even your SharePoint environment and you have within it, now, I've got the discovery. So what I've got in here is my activity. However, here's all the communities that I'm a member of. Here's all of these based on what I'm doing, who I'm talking to, what we're talking about. In the case of Facebook, it's a little too creepy. It knows a little too much about what you're talking about. But I can discover new content, new people, new ideas through these components. And the recovery is that I actually have, as I go in, I'm able to see where those conversations were, the things that I was participating in, where I've been tagged, where I followed something, where I've liked something, where somebody else tags me in or refers content to me. It shows up in my feed. And that followup, the ability then to go and take action on those things. These are these core components of any successful UI. So as you start thinking about, or you're building out your environment, and while I've used examples from just generic enterprise social networking platforms, consumer-based social tools, these are relevant principles. Discovery, recovery, and followup are in every successful user interface that you have out there. So when you're designing for that user experience ,and trying to understand why people are using or are not using this environment, why it's being successful or not, and they're certainly relevant within the SharePoint world, think about how they're able to discover, how they're able to recover, and how they're able to follow up in that activity, and you're going to set the right strategy for your organization.